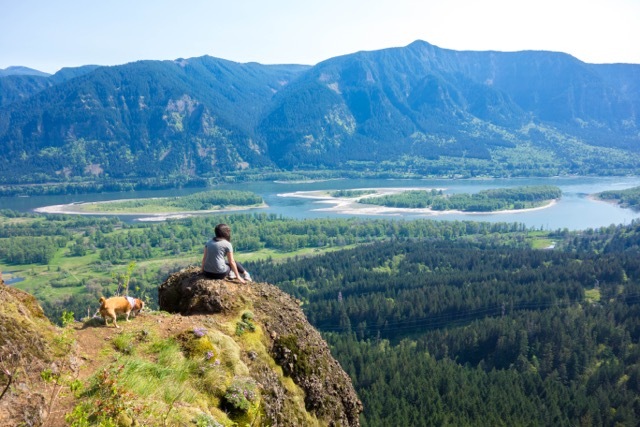 Here is why The Coast Ridge should be high on your list of wellness retreats. Magazines and travel agents routinely tout Maui’s charms, and I had always wanted to visit. Here’s what we found. Lanai has a quiet, laid-back vibe, beautiful beaches and though there are activities to keep you busy, people come here to relax and get away from it all. We have been dreaming of visiting San Miguel de Allende (located in Mexico’s central highlands) since the early 90’s after reading Nothing to Declare by Mary Morris, a true precursor to Eat, Pray, Love. Morris writes of her life in San Miguel, a colonial town that has long attracted artists and expats drawn to its baroque architecture, charming cobble stoned streets, brightly colored buildings and striking light. Jumping at a chance to finally visit, we enrolled in a week-long photo workshop through Santa Fe Workshops, arriving two days early to explore on our own. It was magical to finally get to know San Miguel, considered by many to be one of Mexico’s greatest cities. San Miguel is not easily accessible—fly through Houston to either Leon (approximately a 90 minute drive) or Queretaro (60 minutes). Queretaro is a much smaller airport, which translates to less people and an easy check in with no lines. It’s truly an experience to be in San Miguel on Nov 1 and 2 to celebrate Dia de los Muertos (Day of the Dead) in true style and spectacle. Though the name might sound morbid, it is actually a joyful, epic celebration, a citywide festival with Catrina parades, public altars, dances and plays open to visitors and locals alike. It’s easy to get your Zen on-- San Miguel has many wellness, yoga and massage spots around town plus a fun organic market on Saturdays. Check the schedule of classes at Lifepath Retreats if you have some extra time. Stay: We stayed at the luxurious Rosewood San Miguel, designed to feel like a colonial era grand hacienda. A few blocks from the town center and just steps from Juarez Park, the Rosewood is a peaceful oasis, with large spacious rooms, a beautiful pool and lovely gardens. Looking for something more intimate? San Miguel is known for its small, boutique properties. We’d gladly check into the Hotel Matilda, a modern, minimalist property with a contemporary art collection, a chic spa and a noteworthy restaurant Moxi, from famed Mexico City chef Enrique Olvera. (Matilda is around the corner from the Rosewood, also by Juarez Park.) L’Otel is tucked away on a side street right in town; it feels as if you’re staying at a friend’s stylish home featuring a lovely breakfast room, cozy lounge and a private rooftop terrace. With only 4 rooms it’s perfect for a family or a few couples traveling together. Explore: Bring comfortable shoes--San Miguel is a walker’s paradise. Prepare to get lost in the streets (it’s half the fun) around the Historic Center, recently named a UNESCO World Heritage Site. Thanks to strict building codes the downtown has stayed true to its colonial roots, it’s a well-preserved museum with colorful facades, hilly cobblestone streets and countless interior courtyards and rooftop terraces. Start at the Jardín, the lively central square that sits facing the neo gothic La Parroquia—possibly Mexico’s most photographed church. Continue walking to the church of San Francisco, then over one block to the Plaza Civica, the original gathering place of San Miguel, dating from the early 1500s. Across the plaza is the Templo de Nuestra Señora de la Salud with its 18th Century facade. Then stroll back to the Jardín for an ice cream at Gelato Doce, be adventurous and try the local flavors such as corn or avocado. Take a seat in the Jardin under the laurel-sculpted trees and join the mix of locals and tourists; all watching the world go by. Lunch Spots: Cafe Rama, right down the street from the Rosewood, serves fresh, light Mexican food and hands-down the best tortilla soup in town. Every local told us to go to La Sirena Gorda for a casual meal of seafood tostadas and shrimp tacos, try the one with bacon, served in fresh tortillas. Definitely order the green pozole at the small rooftop restaurant La Posadita. Next-door, super stylish Quince offers sophisticated dining atop a chic rooftop terrace. Oozing atmosphere, eat healthy California inspired food at the stunning courtyard of The Restaurant. Leave time after lunch to browse the fabulous small boutique attached to the restaurant. Shop: You can spend your entire trip shopping in San Miguel; there are so many stores around the main square and up and down the side streets. Thanks to Emily Fox of Materia, the founder of the fabulous online Mexi/Cali concept store Materia we were armed with a great shopping list. Emily is a passionate traveler with incredible taste and knowledge especially throughout Mexico. “Appearances are deceiving as there are lots of hole-in-the wall shops where you can find plenty a gem. Don't miss the tiny Casa de Vidrio, which has great glassware. For boutiques, I love bohemian chic Mixta, high end mid-century Insh'ala and romantic Camino Silvestre. Also Y SOMOS, the stunning studio/gallery of artist Patricia Larsen. And then there's Fabrica Aurora, which is a great complex of antique and upscale home stores housed in a converted turn-of-the-century textile factory. With nearly 30 art studios and galleries, in addition to interior design shops, jewelry boutiques and antique stores, allow some time here to explore. Outside of town, Gorky Gonzalez's traditional ceramics in Guanajuato are legendary (you may need an appointment). And Dolores Hidalgo is the famous pottery town nearby.” Though she hadn’t been, Emily steered us towards chic, minimal Kingsley Market, a small gallery like space on a sleepy street near the Hotel Matilda with a well-curated collection of high-end artisan Mexican handicrafts and accessories. Though it wasn’t local, we couldn’t leave without splurging on a Japanese weaved scarf from Tamaki Niime. Each scarf is one of a kind made from vintage looms and hand dyed in a range of colors—we wanted them all! Sunset Drinks: A must, at least once during your trip, is to have a drink and watch the sunset at Luna Tapas Bar on the rooftop of the Rosewood Hotel. It has the absolute best views (360 degrees) in San Miguel. From Luna you can see everything from the spires of La Parroquia and the other major churches to the reservoir and the mountains in the distance. The food is definitely secondary to the view, but the cocktails are excellent. Dinner: Without a doubt, La Parada was our favorite meal in San Miguel for delicious authentic Peruvian food served in a lively upscale setting. We’d return to Jacinto 1930’s for the fideo soup with avocado, chipotles and crema, but the dazzling space set in Doce-18 is worth a visit alone. (Doce-18 is a new hotel and concept space in what was the former historic Casa Cohen. It’s been dramatically restored, now part art gallery, part boutique with a gourmet food court, tequila and wine tasting spaces and a soon to open new hotel.) We agree with Emily who told us she could go to “La Mezcaleria every night for simply grilled shrimp and vegetables. A tiny bar/restaurant where each of the (very few) dishes is somehow just perfect--and so are the mezcal cocktails!” We wished we had more time to try what we hear are two excellent restaurants just out of town—the farmhouse De Temporada where local ingredients are the star and Ristorante da Andrea, a surprising Italian spot located in a house with views of the cacti fields. Take a taxi to San Miguel’s botanical garden El Charco del Ingenio, a wonderful high desert nature preserve, featuring native Mexican plants, cactus gardens, hiking trails, and a view of the wild El Charco de Ingenio canyon. Explore the pre-Columbian archaeological site of Cañada de la Virgen, just a short twenty-minute drive from San Miguel. The site features pyramids, temples and monumental buildings, as well as artifacts discovered during its excavation. Run by volunteer expats, The San Miguel Library offers a House and Garden tour every Sunday. Tours depart at noon from the Biblioteca to view two private residences. You can purchase your tickets in advance at the library, (20 USD) and all proceeds are used to support educational programs for the children of San Miguel. Worth the Drive: We wished we had more time to spend in Guanajuato, a beautiful university town with a European feel approximately 90 minutes from San Miguel. (Our afternoon flew by too quickly) While some say San Miguel can feel Disneyesque, Guanajuato reads more local with fewer tourists. Hire a driver to navigate the twisting road, and then soak up the colorful, cobble stoned alleyways, the shady plazas and baroque architecture—all with a different feel from San Miguel. Stop at the Cervantes Museum to get a fill of Don Quixote-inspired art and sculpture, then head to the birthplace of Diego Rivera, now home to a wonderful collection of his art. Don’t skip a ride on the Funicular Panoramico for spectacular views of the whole city and region before heading back to San Miguel. Maine’s mid coast region paints a picture postcard worthy scene of quaint towns, tranquil harbors and miles and miles of coastline where lighthouses dot the landscape. The Florida Keys are an archipelago of over 1,700 islands stretching 120 miles off of Florida’s southern tip. It’s an extremely scenic drive from Miami along U.S. 1, across bridges and causeways, on a narrow stretch of land surrounded by the Atlantic Ocean and the Gulf of Mexico. Los Angeles native, Emily Ellis Fox is the force behind Materia, an online Mexi / Cali concept store featuring beautiful handmade and vintage products from both sides of the border. (Plans are in the works for a brick and mortar LA location.) Emily believes,” the spaces we inhabit are a reflection of our values, our adventures and ourselves. That what we surround ourselves with has spirit. And that, through seemingly small gestures, we can elevate our everyday.” She brings that same philosophy to her travels, immersing herself in a place, a culture. Last fall she spent a week just off the coast of Sicily in Panarea, the smallest and most well known of the Aeolian Islands. Here she shares all her discoveries, so you too can have a perfect day, weekend or week in picturesque, dreamy Panarea. 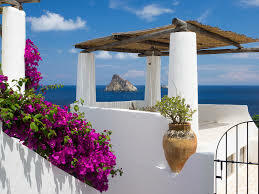 Panarea is only operative from mid-May through mid-October. Aim for the “low” part of that season (June and September), avoiding July and August when crowds, prices, partying and temperatures soar. There are no cars on Panarea, so make sure to arrange luggage transport with your hotel or rental host ahead of time. Golf carts can be hired for rides to the beach or elsewhere, should you not wish to walk. Also missing from the island? Pharmacies. Make sure you pack essentials such as sunscreen and bug spray. Mosquitoes do come out at night, although their bites look worse than they feel. Snorkel gear can be bought or rented in town and is a must for boating days. It also helps in avoiding jellyfish, as they abound. Their stings seemed mild, but caution is advised nonetheless. For those hoping to hike Stromboli via Panarea, note that it requires spending one night away from the island. Sunset treks are guided and not for the faint of heart, so reach out to hiking companies for advice on necessary gear and whether the volcano is active during your travel time. Why Go: Panarea is a study in contrasts: clear seas lapping against dark cliffs, beloved by a tony crowd despite its stubbornly un-tony accommodations and home to sunny laid back vibes even while perched under an active volcano's shadow (Panarea boasts the best view of nearby Stromboli’s smoke show). It's precisely these contradictions, however, that make Panarea so seductively appealing--civilized yet wild, beautiful yet tough, unassuming yet full of vitality. Logistics: Panarea is accessible only by boat, with ports of departure in Sicily (Milazzo, Palermo) and mainland Italy (Naples, Reggio Calabria). Ferry schedules vary depending on time of year making OK Ferry a vital resource for determining timetables and buying tickets in advance. For our mid-September trip we flew into Catania, Sicily. From there, it’s a bus or van service for the hour and a half trip to Milazzo’s port. Another 90 minute hydrofoil ride and you’re finally in Panarea. Stay: We checked into Hotel Cincotta, a pro tip for those in the know. Located next to the infamous Raya (see below), it’s half the price but no less romantic--with classic Mediterranean architecture, sea views and a private balcony in every room. Nothing in Panarea can truly be called luxurious, so embrace the slightly old school aesthetic: there’s charm here in spades. A delightfully helpful staff, plus an enviable spot in town, upscale restaurant, seaside pool, great bar and a complimentary breakfast overlooking Stromboli add up to true value that can’t be beat. Beach: Cala Zimmari is Panarea's sole sandy beach, flanked by hills of cacti and in view of yachts offshore. A half hour walk from town, it’s located in a decently sized cove where you can rent an umbrella and chaise. At the end of the beach, climb a hill to visit neighboring Cala Junco (or just observe its picturesque qualities from below). At the top is a smattering of Bronze Age ruins, while below is a quieter rock “beach” without amenities. Boat: Boat rental kiosks dot San Pietro’s port and we favored Diego, a Panarea native with comparatively fair prices. While there are multiple models to choose from, you only need a basic motorboat: it’s spacious, comes with a cooler and has an ample canopy for shade. Test your sea legs by circling the island first, stopping at whatever coves and scenery suit your mood (Cala Junco at one end and La Nave at the other are both stunners). But the real draw is the islets offshore: Lisca Bianca (made famous by Michelangelo Antonioni's L'Avventura), Dattilo and Basiluzzo. If you have time, allot a day for each of these two routes. There’s plenty to explore. Drink: Aperitifs are as much a part of the culture here as any meal. Embrace the ritual with an Aperol spritz (the island's pre-dinner drink of choice) and accompanying antipasti. Il Bar del Porto is the island’s unofficial gathering spot: Located on San Pietro's dock, it's the ideal place for people watching and a glimpse of ferries rolling in. Nearby at the Raya, a picture-perfect crowd equally matches the picture-perfect views of Stromboli. Sunset may be molto romantico here, but after dinner is when the party really heats up. While its sceney nightclub is active solely in August, the more laid back bar stays open all season. Eat: Snag a window seat at Da Adelina, where a changing menu is determined by what the fishermen and foraging chef have found fresh that day. With a location overlooking the port and Stromboli, its candlelit ambiance is magical. Da Pina, on a vine and lemon covered terrace, serves the type of cuisine you dream about once home. Perhaps the most expensive dining experience we had, the perfectly prepared seafood was well worth it. For a change of palate, Da Antonio il Macellaio is known for its steak and cozy wine-bottle lined dining room. Non meat-eaters will find its salads and pastas to be some of the islands best. In "high" season, pizza is served on the terrace, straight from an outdoor oven. For an affordable option, fun and lively Da Francesco overlooks the port, seemingly always full. Lower prices don't mean lesser food or views--both stand on their own, especially the seafood pastas. Sweet lovers will enjoy L’Elica’s gelato offerings, while the best granita can be found at Il Bar del Porto. Provisions: For beach days and boating excursions, we put together a picnic from Panarea in Forno, a small bakery in San Pietro. Choose from freshly baked bread, homemade slices of pizza, Sicilian salad and their specialty: the pepita (fried dough stuffed with local veggies and cheese). A small market next door carries all other needed essentials: water, wine, cold beer, cheese, fruit and crackers. Don’t miss the olives behind the counter here, as they’re the tastiest we've ever encountered. Shop: Plenty of tourist-driven shops abound, filled with sarongs, straw baskets, caftans and Sicilian ceramics. But a few spots stand out from the crowd. At Moda Mare, design your own leather, suede or beaded sandals, custom-fit to your feet. Best of all, they're ready to pick up day-of. Across the way, Boutique Raya is the spot for those hoping to bring the hotel's bohemian aesthetic home. Opt for a necklace or handbag sporting the hotel's signature silver stingray. Down the hill, the Ibizan espadrille company, Manebi, set up a pop-up store last year filled with fashion-forward styles. And while molded plastic and rope beach bags may or may not be your thing, they're on the arm of every Italian who steps off the ferry. Get your fix at O-bag, the island’s outpost of this well-known brand. DT365 note - our friend Julie stopped in Panarea last summer and raved about Buganville, it was her favorite shop on the island! Just One Day: Many people visit Panarea as a day trip from Sicily or in combination with some of the other Aeolian Islands. With only a day, skip the beach. It’s lovely, but the most dramatic scenery is found offshore. Gather snorkel gear and picnic supplies early, then head down to San Pietro’s dock. Once on your boat, steer towards Datillo—the morning light against its sheer cliffs is positively cathedral-esque. Next visit Lisca Bianca and its small neighbor Bottaro. The strait created between these two is a swimmer's paradise and perfect for lunch. You could easily spend an afternoon here, but intrepid adventurers will head towards Basiluzzo, the furthest and largest of the islets where choppier waters mean fewer boats. The reward is a close up view of Stromboli and the most extraordinary lava patterns around. Back at Panarea, wash up, and then explore San Pietro, pausing at Moda Mare to have custom sandals made. After wandering the streets, pick up your new shoes and head to Il Bar del Porto, where it's time for an aperitif. People watching is a sport here, so enjoy your vantage point as the sun-kissed dinner crowd files in. For food, you’ll want a reservation next door at Da Adelina. Then make your way to Hotel Raya and perch yourself towards Stromboli, in hopes of a fireworks show. Whether or not there's a dance party underway, grab a prosecco, go barefoot and sway to your own beat. Completely relaxed by now, you'll feel utterly far from the "real" world. Enjoy it. Appreciate it. You're dancing within view of a volcano on the Mediterranean. Life doesn't get better than this. Note: To get the best sense of the island, it's worth staying at least a weekend. For its full charm (and ultimate relaxation), stay longer; we enjoyed six days without budging. After a few days in Edgartown, driving “up island” towards Chilmark, I finally understood all the fuss about Martha’s Vineyard. The southwestern half of the island is less populated, more rural with rolling hills, stonewalls, farms and general stores. Turn a corner and you’d swear you’re in the English countryside. And the beaches - the reason that brought me to the Vineyard in the first place - are wilder with dramatic cliffs, rock outcroppings and fewer crowds: absolutely beautiful. Edgartown was a lovely first date, but the villages of West Tisbury, Chilmark and Aquinnah…well they were keepers. It’s B.Y.O.B. in Chilmark as it’s a dry town… stock up on wine for your stay at MV Wine and Spirits by the airport. The staff is super friendly, knowledgeable and they have a large selection. When renting a house…visit Beetlebung Farm for fresh produce, eggs and meats. It’s charmingly unmanned, pick what you want, write it down on the yellow pad and leave your money in the tin box. Everyone claps when the sun goes down in Menemsha. An alternative to dinner is to head down to the beach, bring a bottle of Rose, get some lobsters and watch the sunset on the beach. (Or head to a late dinner after) Don’t think of driving as parking is impossible, instead take the path from the Beach Plum. 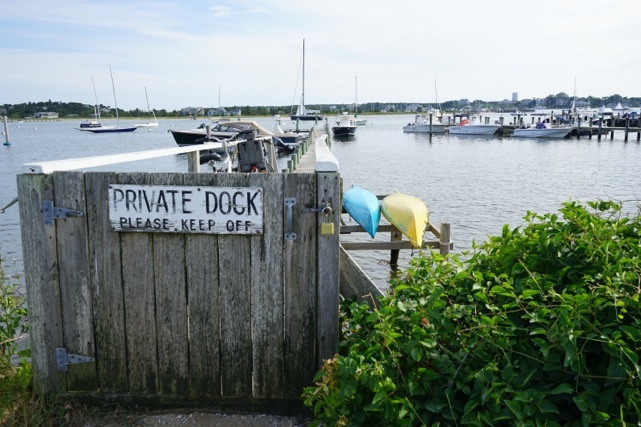 Way to go…book a ticket on the frequent ferries from Hyannis, (car reservations must be made well in advance) or avoid the summer traffic to the Cape and head to Quonset Point in Rhode Island to board the boat to Oaks Bluffs, an hour and a half fast ferry. Don’t Miss: Right next door to 7a, Alleys’ General Store has been serving the Vineyard since 1858; browse the aisles for a hit of nostalgia. Farmers Market: On Wednesdays and Saturdays don’t miss the Farmers Market, held from 9-12, showcasing the goods from more than 40 farmers and purveyors from across the island. 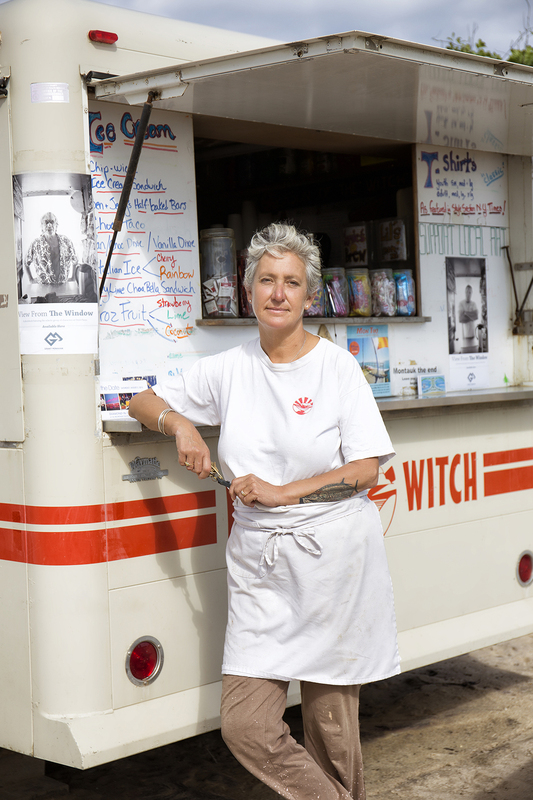 Lunch: After checking into Beach Plum, it’s just a scenic, short walk down a woody path to the beach at Menemsha, a public beach known as the premier spot for sunset on the island. Wander around the working fishing harbor, the colorful fishing boats and shacks present endless photo ops. There is nothing more quintessential New England than eating a lobster on the docks at Larsen’s Fish Market or a basket of fried clams or shrimps at The Bite. Don’t forget to get extra napkins! Beach: Load up on beach chairs and umbrellas at the inn and spend the rest of the afternoon at Lucy Vincent Beach--it doesn’t get much better. Take a walk down the beach and don’t be surprised when you get to the stretch of beach that’s clothing optional. Walk back along the clay bluffs admiring the rock formations below. Dinner: State Road is one of those restaurants that you want to order everything on the menu—and you can’t go wrong—it is a delicious meal, from start to finish, right down to the excellent wines served by the glass. Provisions: Have breakfast at Beach Plum or head to the Chilmark General Store and eat on the porch. Get some sandwiches and snacks to take to the beach. Buy a few of the 1 lb. bags of Chilmark Coffee Company, made on the island, to bring home. To the Lighthouse: It’s a beautiful drive to Aquinnah, formerly called Gay Head, to visit the historic lighthouse and the Gay Head Cliffs on the westernmost point of the island. The light was dark for the last few months, as the lighthouse was carefully moved back 120 feet due to eroding cliffs. Climb the small hill past the shops of the Wampanoag Indians for incredible views of the cliffs and ocean below. 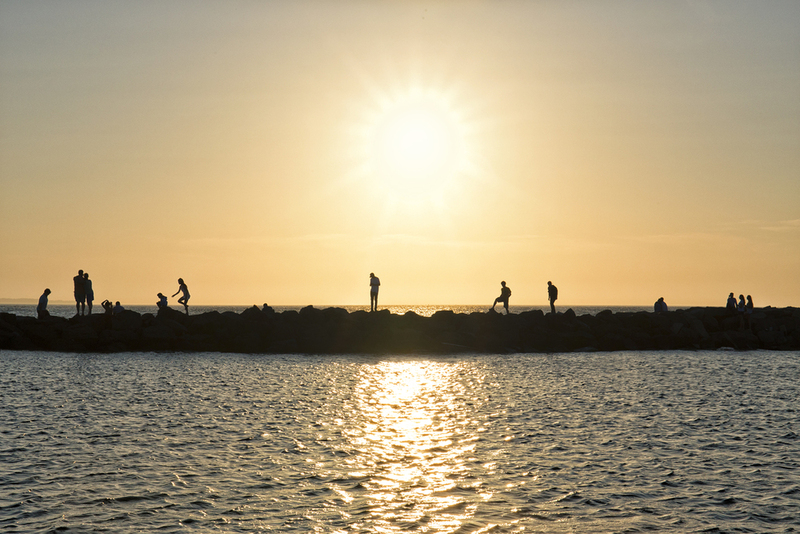 Back to the Beach: Another day, another unique beach—that’s what makes Martha’s Vineyard special. Go early to get a spot at the small parking lot of Moshup Beach. It’s a nice 10-minute walk down to the beach. This was my favorite beach; the multi colored cliffs a stunning backdrop, changing colors with the light. It’s also beautiful in the late afternoon. If you want to visit another beach venture to Squibnocket where the surfers hang out. Dinner: It’s Chef Chris Fischers’ second season at the helm of the restaurant at the Beach Plum, with much of the produce coming from his nearby family’s Beetlebung Farm. At dusk the lawn starts filling with couples sipping wine, children playing ball or chasing the roaming chickens and wild turkeys; all getting ready to watch the day fade away and dine on the seasonal farm to table menu. Or head to Chilmark Tavern, Jenna’s Sprafkin’s casual American bistro, featuring a seasonal, creative menu using mostly local products. Highly recommended! Don’t Miss: Before returning home, have breakfast at the Art Cliff Diner. Go early to avoid a long wait, it’s popular for a reason—you’ll understand after your meal of spicy chicken hash and eggs, breakfast tacos or delicious fresh made scones or waffles. Get to the ferry early to claim a seat on the upper deck, rummage in your bag for your book and sunglasses, and then let out a deep breath. Your vacation officially starts as soon as the boat pulls away from port. Martha’s Vineyard, an island just off the coast of Cape Cod in Massachusetts is known for its magnificent beaches, picturesque harbors and historic, charming villages. Made up of six distinct towns, the Vineyard is much larger than its sophisticated, nearby rival island of Nantucket. Based in colonial Edgartown, DT365 shares our highlights for a few relaxing days at the beach. Renting a house…pick up provisions at Morning Glory Farm. In addition to delicious baked goods and beautiful produce they have an impressive array of cut flowers. Another world…Take the Chappy Ferry from Edgartown to Chappaquiddick Island. Visit Japanese Mytoi Garden, Wasque Point, Leland Beach, Norton Beach, or Cape Pogue Wildlife Refuge. Craving some fried clams or a lobster roll…Skip the touristy Seafood Shanty and get fried clams to go at their take away stand, The Quarterdeck. Stay: A short walk into town, check in to the Harbor View Hotel: a waterfront property overlooking the beach, Edgartown Lighthouse, and Chappaquiddick Island. Splurge on one of the cottages or stay in the main building. For those who prefer to be close to the beach, the Winnetu Oceanside Resort in nearby Katama is just a path away from South Beach, a beautiful stretch of sandy beach. Winnetu is great for families, with a kids program and tons of room options to accommodate all. For a quieter, more formal stay, check in to The Charlotte Inn, less beachy and reminiscent of an English country house. Ride: Harbor View can arrange to have a bike delivered directly to the hotel, or rent a bike in town at Martha’s Bike Rentals or Edgartown Bicycles and Rentals. Make sure to request a basket to hold your towel and refreshments for the beach. Morning Grub: Grab a coffee and some freshly made baked goods at Espresso Love. Or head to tiny diner Dock Street Coffee Shop, an island institution, for one of their breakfast sandwiches. I liked the shady terrace at Behind the Bookstore Café, located directly behind Edgartown Books with a eclectic, healthy menu and excellent coffees and teas. Wander: Spend the late afternoon walking around downtown Edgartown, in and out of the upscale shops, indulging in some fudge at Murdick’s or an ice cream at Mad Martha’s or Vineyard Scoops. Across from the Harbor View, walk out to the Lighthouse and then down the rocky, narrow beach, returning back by the streets and admiring the beautiful oceanfront homes and rows and rows of hydrangeas. Dinner: I don’t usually order fried foods, but the wok fried whole lobster has quite a reputation at Atria, set in a classic New England house just on the edge of town. The restaurant is divided in two: upstairs is quieter; finer dining while downstairs is a casual cellar bar. Both offer the same menu, with the cellar only offering an extensive burger selection, considered some of the best on the island. And the star of the show—the lobster served whole atop buttery mashed potatoes and island greens—may just be one of the best lobsters I’ve ever had. Get Moving: Get back on your bike, proceeding cautiously out of town, till you get to the bike path heading towards Oak Bluffs. This is a longer ride, clocking in around 8 flat, easy miles. At the dividing line between the two towns, stop to watch the jumpers at “Jaws Bridge”, (The American Legion Memorial Bridge) made famous in the 1975 blockbuster film. Crowds gather to leap and cheer each other on--in direct defiance of the sign that says no jumping. Kayaking and paddle boarding can be organized right across the road on Sengekontacket Pond. Continue on, arriving at Methodist Campground, a cluster of charming multicolored gingerbread cottages surrounding an open-air Tabernacle dating back to 1879. It is surreal to see the different architecture; in direct contrast to the stately whaling mansions in Edgartown. Lunch: I know I’m going to crave the Fried Green Tomato BLT for a long time from Slice of Life on Circuit Avenue, in the heart of Oak Bluffs’ main shopping street. Go ahead and order the truffle fries, you’ll burn it off on the bike ride back to Edgartown. Other popular spots in Oak bluffs include Nancy’s for seafood, Giordano’s for fried clams and pizza (take out only), and the Red Cat Kitchen for dinner. Sweet Tooth: Martha’s Vineyard Gourmet Café & Bakery serves their beloved donuts and apple fritters all day long at their bakery storefront, but the real action takes place starting at 7:30PM –till 1AM where people wait on line at the back door for hot, right out of the oven doughnuts. It’s become so popular that everyone refers to the bakery as Back Door Donuts. Ben & Bill’s Chocolate Emporium has the best ice cream on the Vineyard served in their old fashioned charming store. Stroll: Oaks Bluffs has a whole different feel than Edgartown, it’s touristy for sure, yet lively, it just feels like a summertime beachside town that could be down the Jersey Shore or at Delaware’s Dewey Beach complete with arcades, harbor side clam bars and old movie theaters. You must stop and watch the kids exuberantly grabbing for gold rings at the Flying Horses, the nations oldest platform carousel, designated a national landmark. 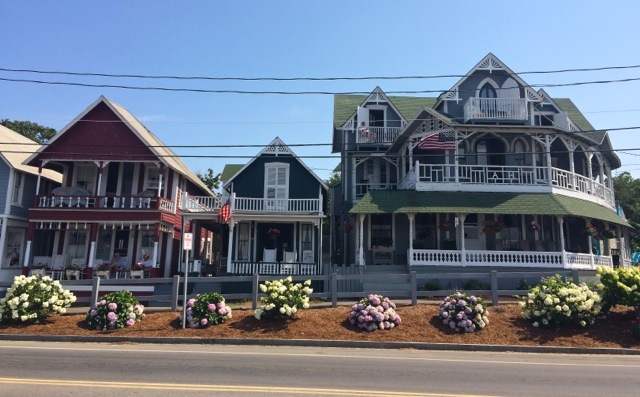 Oak Bluffs has its own unique vibe and personality, the fun “cousin” to Edgartown’s elegant “aunt” and it’s worth visiting. Dinner: The Port Hunter doesn’t take reservations, but it’s well worth the wait. Have one of their specialty cocktails and an appetizer at the bar or communal tables and soon you’ll be trading stories with your neighbors. The creative seasonal menu is locally sourced, and there’s a raw bar for oyster fans. On Tuesdays, Thursdays, Fridays and Sundays starting at 10 pm, half the tables are cleared away to make way for live music sets. Don’t miss dining here! Aman means peace in Sanskirt and Zoe means life in Greek--peaceful life--how apt a name to describe this zen like sanctuary. Opened in 2012, Aman’s sleek luxury resort is surrounded by olive groves overlooking the Eastern Peloponnese island of Spetses. Similar to New Yorkers exodus to the Hamptons, this is where the well to do have homes to escape Athens for the weekend. It’s mainland Greece, a place many don’t know to visit, perfect if you want to explore a different part of the country or as a stop before or after island hopping. Read Daniel Klein’s Travels with Epicurus, a lovely book about aging gracefully, set on Hydra. Archaeological buffs have more to explore! Other important sites include the legendary Citadel of Mycenae, the Cemetery of Dendra, The Temple of Hera, and Monemvasia’s preserved medieval churches. Logistics: Amanzoe is approximately a 2½-hour drive from Athens or a 2-hour journey by hydrofoil from the Athenian port of Piraeus. You can splurge and charter a helicopter – a flight of just 25 minutes from Athens Airport and land on Aman’s own helipad outside the front gates. Setting: Walk in to a modern riff on ancient Greece with stunning architecture designed by Ed Tuttle. The spacious reflecting pool leads to a huge terrace overlooking the olive groves and the distant ocean, perfect for a late day cocktail at sunset. The design is clean, sparse, and all white and creams with tons of marble and stone. Rooms: More than a room, each suite is a stand-alone pavilion set in its own courtyard with a private plunge pool looking out towards the sea. It is one of the nicest rooms I’ve ever stayed in. Everything is thoughtfully designed with local materials, this is not Aman, who are typically located in Asia, recreating their stunning signature Asian design in Greece, but instead creating an authentic Greek feel and style. Relax: Incase you’re not feeling relaxed enough, the spa offers amazing treatments using natural products from the local olive groves. Food: Everything is fresh and locally sourced. The Amanzoe’s menu lists local producers by name. The honey is from local bees, nearby farms supply the produce, and the olive oil comes from the trees on the property. Overall the food was delicious, simple and healthy. Sun and Sand: At the main complex there is a beautiful pool, but most people tend to base themselves at the private beach club, a 8-10 minute drive by shuttle van from the hotel. (For the fit, you can use Amans mountain bikes to get there as well.) With two 25-metre lap pools and another smaller kids pool, it's very easy to spend the entire day there, doing nothing more than relaxing on loungers in the sun or beneath shady pergolas. There is also a full restaurant and bar open throughout the day. While it was a slight annoyance to shuttle to the beach, once there the set up is first rate. And back at the main complex the views from up high justify the distance to the beach. Landscape: Reminiscent of Tuscany, it’s very hilly and dry, with the ocean off in the distance. The property is new and will get more lush each year as the olive trees mature. Must do: The Peloponnese is most beautiful out on the water. Rent the Wally One, Aman’s luxury speedboat, for the day to visit the neighboring islands of Hydra and Spetses and swim in secluded coves. The Wally One was extremely comfortable for our family of four. Its not inexpensive, but well worth it. Hydra approximately a 25 min boat ride from Amanzoe, is a dream. There are no cars on the island, making it a lovely place to wander and explore. Have a drink or a bite in one of the seaside cafes overlooking the gorgeous harbor. Hydra has no real beaches, so people swim off the rocks. A good spot up from the harbor is the Sunset restaurant; you can have a drink while watching the swimmers below. Soak in the scenery--this is picture postcard Greece. Larger Spetses has its own charms and beautiful beaches. Take a horse drawn carriage to view the lovely Venetian and neoclassical mansions. There are nice shops and many places to eat, Amanzoe can give you their recommendations or pack you a picnic lunch if you prefer. Day trip: The historic town of Nafplio is approximately one hour by car. It is one of the original capitals of Greece and a charming town in which to spend the day. Visit the historic Palamidi Castle, wander the streets, and dine at one of the seaside taverns. On the way back, stop at the old amphitheater of Epidaurus, a Unesco World Heritage site and one of the most important archaeological sites in Greece. Drink: The quality of the Greek wines were a big surprise, we really enjoyed both the reds and the whites. Near Amanzoe there are numerous vineyards open for wine tastings. The hotel can arrange tours and tastings if you’re interested. Late Night: Spetses has many restaurants, bars and clubs where people party till the early morning, the water taxi from Porto Heli to Spetses takes 10 minutes and runs all night. Christiana Hedlund was born and raised in the Beautiful Pacific Northwest. A gypsy at heart, she has always been fascinated by the diversity of our world's cultures. When she's not on the road, painting, studying, or looking for new portrait subjects, you can find her locked in her studio in Portland, Oregon. Often, holding a brush in one hand and a cup of strongly brewed coffee in the other. View her talented work here, and check out her ideal day in her hometown. Sleep at the centrally located The Nines across from Pioneer Square or the hip Ace Hotel housed in a historic landmark property. Get out of town…less than 2 hours away visit the Willamette Valley, Oregon’s famous wine region. Or head to Cannon Beach, a 2-hour drive and stay at the Stephanie Inn. Can’t get to Portland, but happen to be in NY, head to Pok Pok in Brooklyn. A sensation when it first opened, it has now moved to a bigger space across the street from the original. Order extra wings, they are addictive. Start: A perfect day in Portland has to begin with a good cup of coffee. Our city has some of the best small batch roasters in the world. Start at Heart on E Burnside. They roast their coffee in the middle of the shop so you can take in the aroma while you sip your americano. Heart is also impeccably designed, so I like to spend a few moments just looking around for inspiration. Shop: Next door to Heart is one of my favorite shops in Portland, Palace. I call Palace my girly wonderland. It is an artfully curated boutique with a mix of vintage and new clothing, specialty food, organic body products, perfume, ceramics, paper goods, and artful little things. The girls that work there are lovely and French gypsy jazz is always playing. Eat: By now you’ve probably worked up an appetite. I’d walk down the block to The Screen Door for some southern brunch. If the line is too long, and it usually is, I’d head to Broder or to their NE location Broder Nord. Broder is a Scandinavian breakfast place that is also tastefully designed and the food is always flawless. Try the Lefse (Norwegian potato crepes) or the Aebleskiver’s (Danish pancakes) with lemon curd and lingonberry jam. 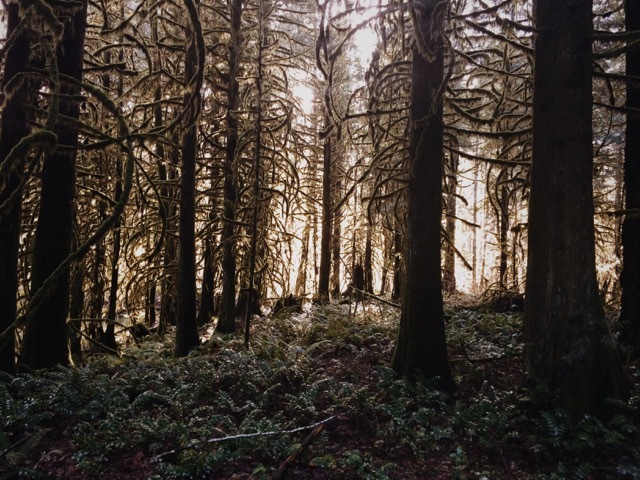 Get Moving: If it’s sunny outside I’d spend the afternoon going on a walk in Forest Park. Forest Park is one of the largest urban-forested parks in the country. Connected to Forest Park is the Japanese Gardens, which is also very lovely and perfect for a stroll if you don’t want to hike. West Side: If the weather is rainy, I’d stay on the west side of town and make a visit to the Portland Art Museum and Powell’s Books. PAM has a pretty solid permanent collection and a nice selection of NW Native American art. Powell’s, in the Pearl district, is dubbed Powell’s City of Books, and claims to be the largest independent new and used bookstore in the world. I could easily spend all day here getting lost in book heaven. Dinner: Head back to SE for dinner at Pok Pok on SE Division St. Lines can be long here but it’s worth the wait to try Andy Ricker’s thai food. Some of my other favorites are Bollywood Theatre (Indian food), Le Pigeon (French), and Olympic Provisions Northwest.